While there are several advantages to paying for all or part of your final arrangements during pre-planning with us, it is not necessary. Like everything else about pre-planning, paying for final arrangements is deeply personal and should conform to your situation and wishes. Many people pre-pay only for their monument and/or their casket. Since these items customarily increase in cost every year, prepayment is a practical way to minimize the costs that the family will be responsible for. We have several attractive options available for dealing with pre-arranged final expenses, and we will gladly review and discuss them with you to find the best one for you. To see a list of the most commonly asked questions about final arrangements and pre-planning, view our FAQs. In 1981, when Lynn was 11 years old, her family moved from Columbus, MT to Terry, MT. Lynn graduated from high school in Terry in 1988. Lynn’s son, Jared, currently lives in Bozeman, MT, but is planning a move to Phoenix, AZ. Lynn previously worked at the Miles City Star for 20 years in advertising. 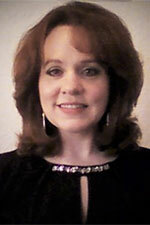 Lynn has joined Stevenson & Sons Funeral Home as a Family Service Counselor. In her position with Stevenson & Sons, Lynn helps families in our community and region to effectively pre-plan their services. Lynn enjoys spending her free time with her family and friends, along with working on projects around her home. give your family a gift they’ll never forget – peace of mind. You may begin the pre-planning process online now, in the comfort of your own home, by filling out our online pre-planning form – click here to begin the process. A staff member at Stevenson & Sons will contact you very soon after we receive it. You can also download a pre-planning form, print and fill it out when you are ready.